During the years of film photography, there’s been various attempts to make cameras easier to use for the inexperienced. Various degrees of simplification and automation have been applied to make cameras easier to load and use – Kodak particularly pioneered this, with long lines of simple but generally effective Brownies and Instamatics. They were designed to have as few controls as possible, and deliver snapshots of reasonable quality across a wide range of conditions. Generally it worked, and such cameras were made in vast quantities – I’ve got a couple of Brownies and an Instamatic knocking about in my cupboard, and it’s still possible to use them, even though one is a hundred years old! My Kodak Brownie No. 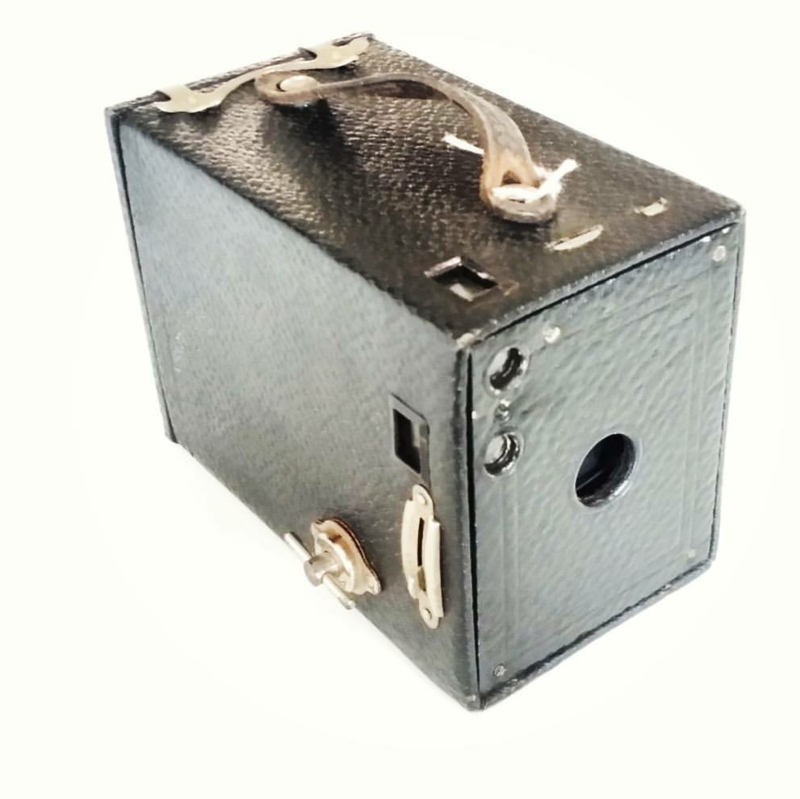 2 – point ‘n’ shoot, Edwardian style. There was possibly only one spectacular turkey in Kodak’s arsenal of consumer film formats, and that was Disc, which had such tiny negatives that even small prints were muddy, blurred and grainy. By the mid-nineties, 35mm cameras were easy enough for just about everyone to use, but in 1996, the last-ever new film format was launched – the Advanced Photo System. 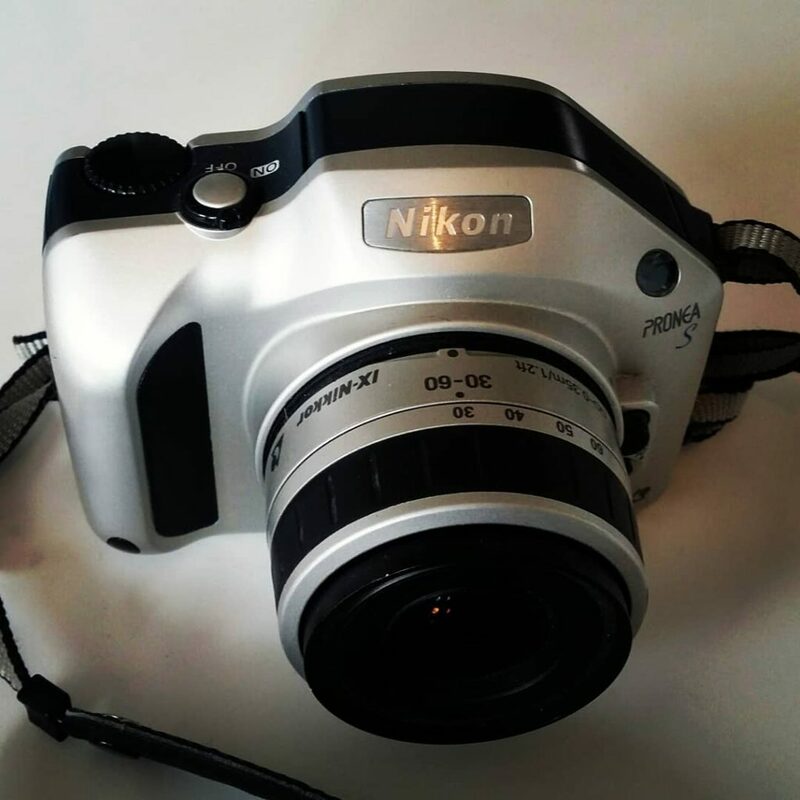 It doesn’t have a good reputation, but personally I was quite a big fan, and I’m the proud owner of a Nikon Pronea S, a basic but quite capable APS SLR. Nikon Pronea S, a little plastic marvel. It’s VERY plastic, but hey, I like it. These cameras date from the late nineties, and I got mine cheap as chips on eBay in about 2005, just after the very last APS cameras were made. They were doomed to a short existence, as the consumer market they were aimed at was very quick to adopt digital. The film ceased production in 2011, but I still have a few rolls left, and I decided to blow the dust off this camera because of one of the cool features of APS – being able to shoot panoramas. This was dismissed as bit of a gimmick, but it’s suiting me fine for a little project I’m doing at the moment, shooting the distinctive shale bings that are a unique feature of the landscape around my house. These are huge artificial hills that are made from waste generated by an early oil production technique. Anyway – back to APS. The film was designed to be very easy to handle, and the cartridge drops in like earlier 110 and 126 films. However, APS negatives never leave the cartridge, and the cartridge came back with the prints. It was all meant to be idiot-proof, and generally it was, although I’ve still had APS processing somewhat messed up. Not many places still know how to do it, in particular how to print it properly. Professionals never liked APS as the negs were only about half the size of 35mm, and the film choice was a bit limited, but for everyday snapshots, I liked the results. It had a couple of clever features, like a magnetic strip on the film that recorded various bits of data like time/date taken. Some places can encode this information on scanned images, which is really useful for organising your pictures on a computer. It also had some rather silly things, like an ability to print messages on pictures – I never used it, but accidentally activated it once, and got a whole roll of film back with the mysterious word “Brollop” on every print. Turns out the camera speaks Swedish! Unfortunately, APS cartridges and the film transport mechanisms in cameras are really complicated, so once the supply of unused films runs out, the cameras will turn into pumpkins. Other obsolete film formats can usually be recreated with a bit of hacking, but no joy here. I’ll keep shooting until my stash runs out – stay tuned for some results! This sounds like a fun project – I’m looking forward to seeing what you produce with this camera.